Royal Square was once the town's market square. Along one side of the square are the States Chambers (the island parliament), the Royal Court and the old library building. At the east end is the former Corn Exchange. 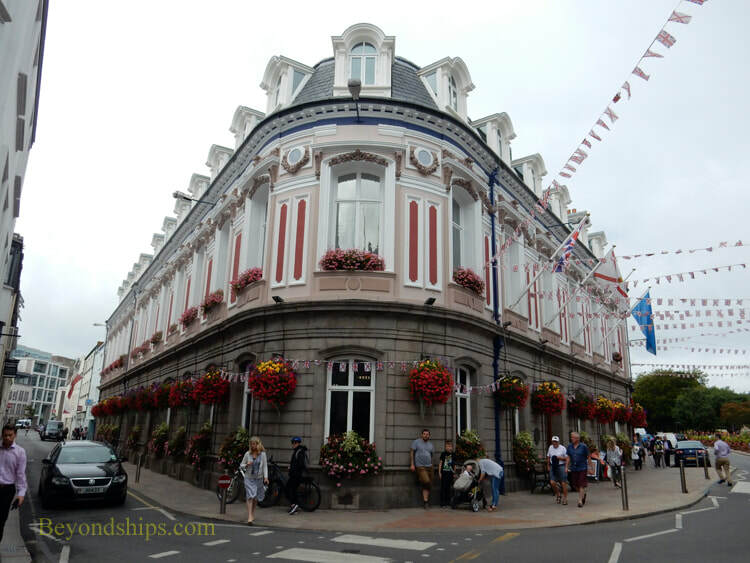 In the center of the square is a glittering statue of King George II who gave the town 200 pounds to build a harbor, which led to St. Helier's economic rise. 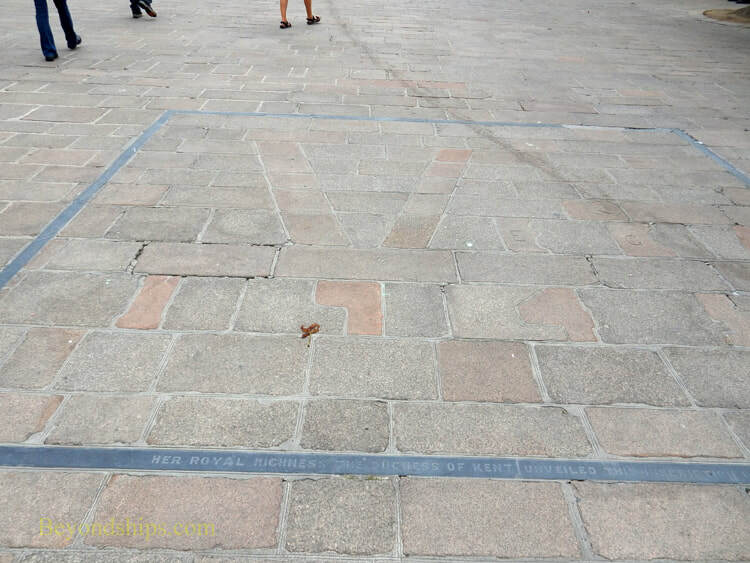 Also embedded in the pavement of the square is the letter “V.” This was done during the German occupation by a repairman. V, of course, was a symbol popularized by Winston Churchill to represent victory for the Allies. As such, it was banned by the Nazis. The repairman escaped punishment, however, by telling the Nazis that it was a homage to the Red Cross ship Vega, which had brought much needed food and supplies to the island. 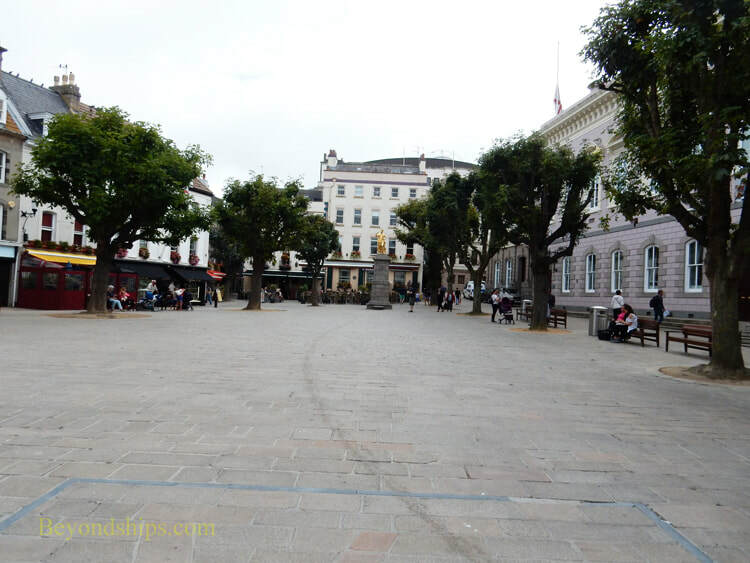 The Royal Square is best known, however, as the site of the Battle of Jersey. In January 1781, invading French troops met a combined force of British regulars and Jersey militia here. In a short but fierce battle in which both commanders were killed, the French were defeated. 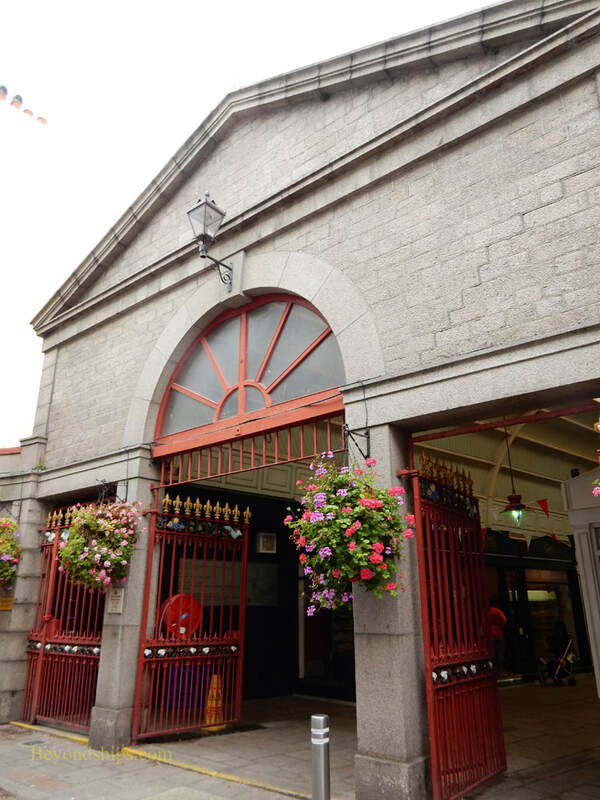 The Central Market was built in 1881-82 to celebrate the centenary of the Battle of Jersey. Its granite exterior walls enclose some 33,600 sq feet. 37 cast iron pillars hold up an octagonal transparent roof. There are seven iron gates topped with colorful designs. At the center of the market is another colorful element - - a 15-foot high fountain with three tiers. Still in active use, the market stalls sell food and other items. 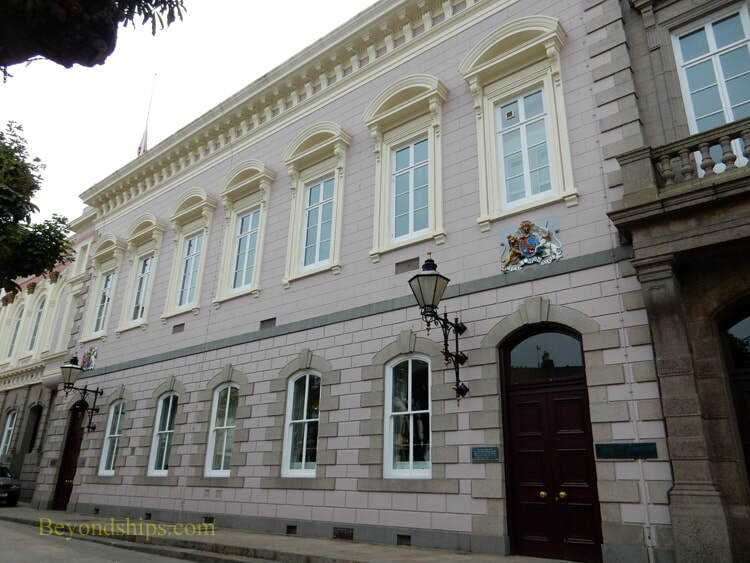 The Parish Hall (or Town Hall) is the seat of St. Helier's local government. 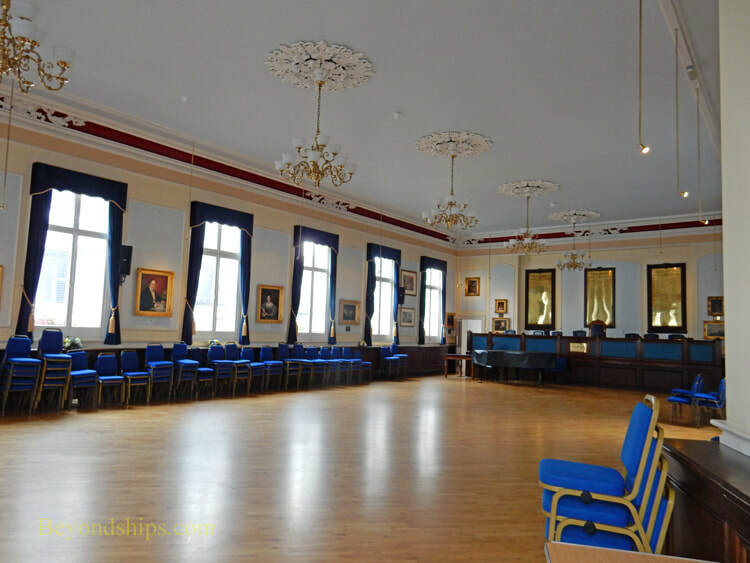 Built in 1872 in the French Imperial style, the grand Parish Assembly room is impressive. The hall also houses an art collection. The building is not usually open to visitors but visits can be requested.